Upon your arrival in Delhi, our company representative will assist you to head towards assigned hotel. Take rest after this long journey. Overnight stay in Delhi. After having a healthy breakfast in the hotel, proceed for sightseeing tour of Delhi, the national capital of India. Places that you can visit in Delhi are Qutub Minar, Jama Masjid, Lotus Temple, Red Fort, President House, Parliament street and other touristic attractions. Visit nearby shopping places before driving back to the hotel. Overnight stay in Delhi. After having a healthy breakfast in the hotel, proceed for the airport and board an afternoon flight for Jodhpur, also known as the “Blue/Sun City”. From Jodhpur Airport our representative will assist you to proceed for Rohet Garh, popular as the “Oasis in the Desert”. Upon arrival at Rohet Garh, check-in the hotel. The place is famous for jeep safari, bird watching and horse safari. Return to the hotel in evening and spend night here. Overnight stay in Rohet Garh. After having breakfast in the hotel, proceed for Pokhran. En-route visit Mahrangarh Fort and other places of attractions like you can visit Jaswant Thada. Continue driving until you reach Pokhran and check in at hotel. Overnight stay in Pokhran. After having breakfast in morning, gear up for Safari Tour through small villages of Thar Desert. Some of the villages covered during Jeep Safari are Falsund Village, Baniyana Village, Ujala Village and Bhikodai Village. After safari tour, relax in a tented accommodation at Chaba Village. After having breakfast in the morning, proceed towards 2jeep safari tour of the day. You will visit Bharadie Village. The other villages which we will be covered today will be Bhesda, Rajmathai. After a whole day activity, our night stay will be at Dangri Village. Overnight stay in a tented accommodation at Dangri Village . After having breakfast, start your journey for Bhikaji ki Dhani through Jeep Safari. Some villages covered include Moolana, Tadana, Rasla and Nehadie Dwada. Overnight stay in a tented accommodation at Moolana. In the morning, restart Jeep Safari after enjoying local breakfast. The next destination in the list is Bhu and Bhopa villages that are followed by visit to other villages such as Chelak Villages, Digri Village and Narsingh ki Dhani. Overnight stay at Devra Tented Camp. After having breakfast, drive back to Chelak Village and visit nearby villages such as Janra, Adbala and Hapa. Later in the day, start your journey for Khuri village and overnight stay at tented accommodation. After enjoying breakfast through Barna Village, Kanoi, Sipla, Kumar Kotha and Ghuriya Jamda. Later in the day, transfer to Jaisalmer for watching sand dunes. 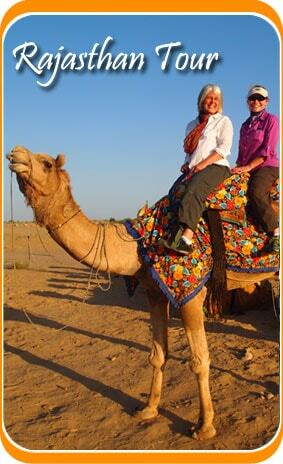 Here you can enjoy camel ride and sunset & overnight stay at tented accommodation. After enjoying breakfast and checking out the camp, drive back to Jaisalmer. Check in at the hotel after arriving in Jaisalmer. Later in the day, enjoy sightseeing tour of the city exploring places such as Patwon Ki Haveli -masterwork of Jaisalmer architectural and Jaisalmer Fort. Spend evenings exploring the market and spend night at the hotel. After having breakfast, you will be transferred to the Jodhpur airport and fly back to Delhi. After arriving at the Delhi airport, you will be transferred to the hotel. Spend evenings strolling the markets in Delhi. Overnight stay Delhi hotel. After having a breakfast in the hotel, check out and proceed for Delhi Airport. 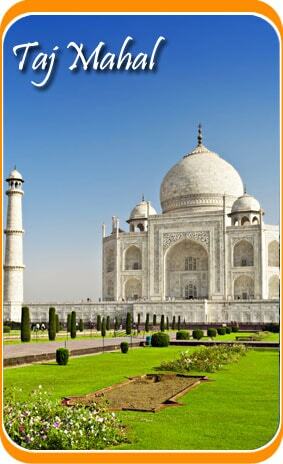 Continue drive for Delhi International Airport to board your onward flight. Your 14 Days Rajasthan Sand Dunes Tour ends here..